This colored photograph shows the mural entitled " justice" by E.S. Miragoli and Company of St. Louis, Missouri. 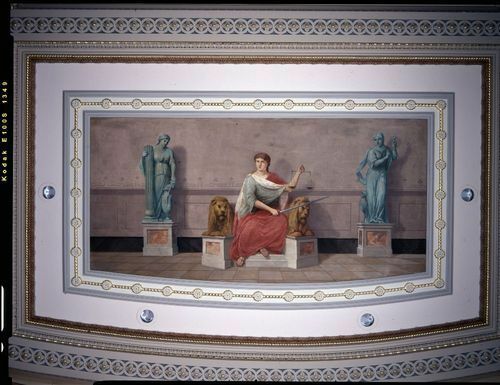 The allegorical painting, trimmed with a twenty-four karat gold leaf border is one of four murals that are on the ceiling of the House of Representatives in Topeka, Kansas.